Released: 21st July 2014 Buy: http://cosmicbridge.bandcamp.com/album/om-unit-presents-va-cosmology Om Unit Presents: VA - Cosmology 01. Om Unit & Moresounds - Nuff Music 02. Kromestar - V7STX 03. Danny Scrilla x Om Unit - Hunch (Epoch Remix) 04. Danny Scrilla – X (VIP) 05. Moresounds - Sound Business 06. EAN - I Bus' The Mic 07. Boxcutter - Active Transformation (Feat. Star Fu) 08. Danny Scrilla x Epoch – Geometry 09. Om Unit x Danny Scrilla - Gentrification Om Unit Presents Cosmology. 9 tracks showcasing a new wave of beat production in the realm of Cosmic Bridge & label head Om Unit's signature "slow/fast" sound. 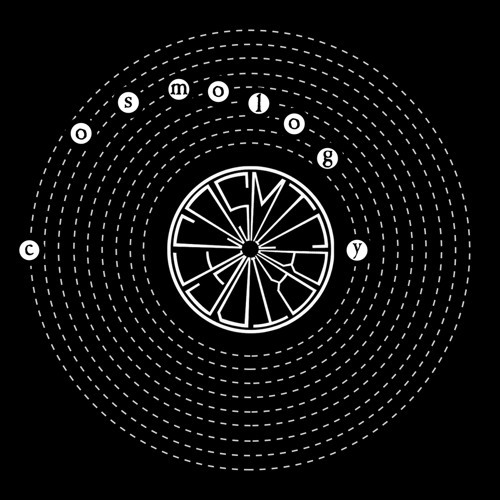 Curated by Om Unit for his Cosmic Bridge imprint the compilation features tracks from the first wave of Cosmic Bridge artists and includes 3 collaborations with label head Om Unit. In 2 short years Cosmic Bridge has released material from Om Unit, Kromestar and Boxcutter and has given us Moresounds, EAN and Danny Scrilla; who after making their debuts for the label have gone on to make waves. Unifying the Cosmic Bridge sound the compilation features grime and dubstep kingpin Kromestar's blend of deep dubstep romance and road-raw sci-fi boogie, Moresound's digi-dub and soundsystem modulations, former Various Production lynchpin EAN's rapidfire darkstyles and deft footwork jungle chops, Boxcutter's lush fusions of Footwork and Electronica, Danny Scrilla's forays into the unnamed airspace between dreadnought dub, halftime footwork & O.G '06 Dubstep and two appearances from Keysound's experimentalist 140bpm updater Epoch. Highlights include a VIP version on Danny's Scrilla legendary 'X', Danny's collab with Om Unit on 'Gentrification' featuring the unwitting Giles from Foxton's Estate agency in Brixton plus Om Unit's jungle referencing collab with Moresounds, the long waited release of Kromestar's highly sought dub 'V7STX' and Epoch's revisiting of Om Unit & Danny Scrilla's 'Hunch'. Om Unit's A&R sensibilities and his focus in pushing boundaries show in Cosmology's curation. Representative the label's catalogue, the diversity of styles on show across these nine tracks is unified by the talent of the producers involved. @jimmy-breeze: Footwork is a genre that has been gaining quite a lot of popularity, lately. Look it up. Although this has nothing to do with Footwork. io non riesco più a smettere! 1 second in I already liked it!! !